Kerto-Ripa® is an enhanced design system for roof- and floor elements, developed by Metsä Wood. 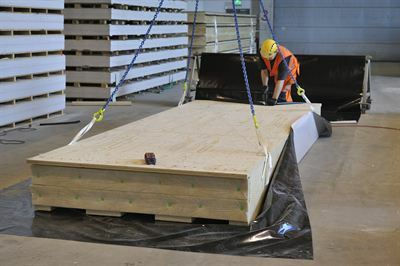 Metsä Woodwww.metsawood.com Metsä Wood provides competitive and environmentally friendly wood products for construction, industrial customers and distributor partners. We manufacture products from northern wood, a sustainable raw material of premium quality. In 2018, Metsä Wood's sales were EUR 0.4 billion, and it employs approximately 1,500 people. Metsä Wood is part of Metsä Group.